See top Charleston sites such as Rainbow Row and Charleston City Market. Find your way to the Big Red Bar on Guignard Street, where you'll meet your private guide. Climb into the horse-drawn vis-à-vis carriage, where you'll sit face to face with the other members of your party. 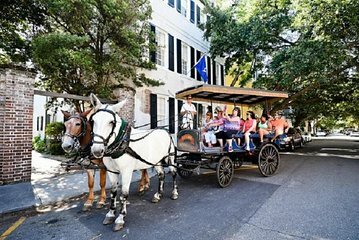 Ride through the historic streets of Charleston's walled old town while your guide provides narrative on the city's history. Pass stately mansions and historic churches; learn about their architecture and take photos. Admire the green parks and gardens that dot the city streets. Because this is a private tour, you'll have plenty of time to ask questions and your itinerary is flexible. Return to your departure point after 1 hour. 1 Private Carriage per booking, when checking out! Driver was outstanding, knowledgable and enthusiastic. Really enjoyed the tour, thank you! Driver/guide especially friendly and knowledgeable.  Found all staff to be very friendly and willing to meet our needs. The history of Savannah is fascinating! I love to hear the stories. Our tour guide Sam was outstanding! We enjoyed her company as much as we enjoyed our tour! We had the carriage for a private tour and our guide Bubbah was wonderful. Luckily we got the first district it's by a lottery system there to prevent too many carriages in one area and saw many of the historical homes. It was a great way to start our trip and get acclimated to the city.